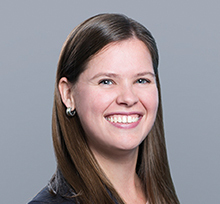 Chelsea Mullarney is a Partner in the Brown Rudnick’s Commercial Litigation group. Chelsea’s practice includes representing clients in all aspects of litigation and arbitration matters focusing on contract and business disputes, financial services, unfair competition, and complex commercial litigation. Chelsea’s experience includes trials and appeals in state and federal courts and the American Arbitration Association and the representation of creditor committees and foreign liquidators in bankruptcy courts. Ongoing litigation and claim analysis for private equity and hedge fund clients focused on litigation-impacted debt and equity securities. Representation of a global pharmaceutical business with operations in India, Europe, Hong Kong, and the United States in relation to a joint venture and other commercial disputes. Representation of the Official Committee of Unsecured Creditors in the Chapter 11 cases of R.E. Gas Development, LLC and affiliates. Represented Lyondell Litigation Trust in prosecuting all non-settled multi-billion dollar claims against LyondellBasell’s former owner in the Bankruptcy Court in the Southern District of New York. Represented financial institutions in New York Supreme Court actions regarding a myriad of commercial real estate matters, including mortgage foreclosure actions, breach of commercial leases, and landlord tenant matters. Successfully represented an individual in actions in state court in New York, Florida, and Hawaii to secure multimillion dollar properties in connection with the enforcement of a multibillion dollar divorce judgment obtained by the individual abroad, including obtaining preliminary injunctions. Represented a venture capital firm in a New York Supreme Court action to enforce a security interest, including successfully obtaining an injunction. Represented an international cosmetics company in a New York Supreme Court action in defense of a breach of contract claim by an international distributor. Advised a multi-million dollar family owned business in matters related to a potential bankruptcy, sale of commercial real estate, and vendor agreements. Represented a financial institution in a federal class action involving alleged violations of TILA, RESPA, FDCPA, state deceptive practices statutes and state common law. Author of “Restrictive Covenants Under New York Law,” N.Y. Bus. Litig., N.Y.L.J. 2013.